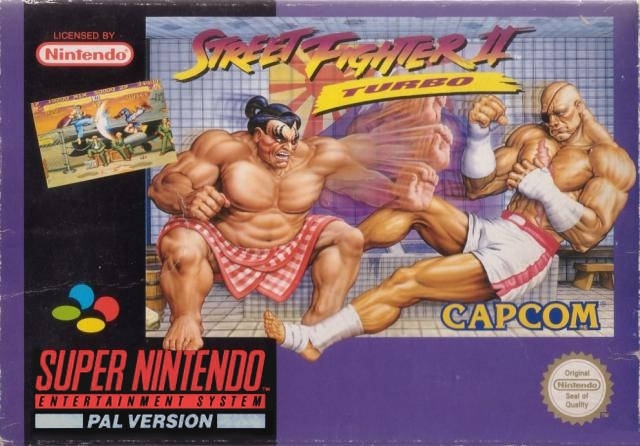 Street Fighter II defined gaming in the 1990s by revolutionizing the fighting-game genre. 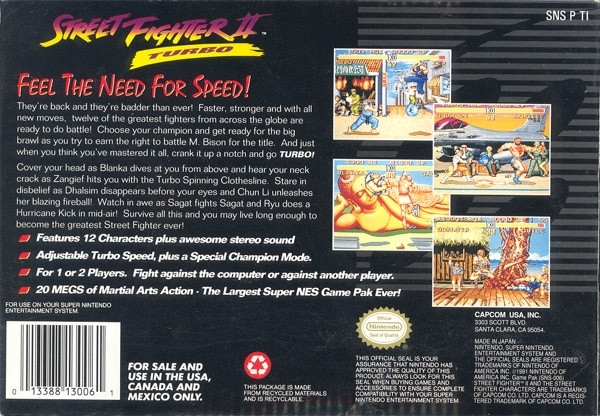 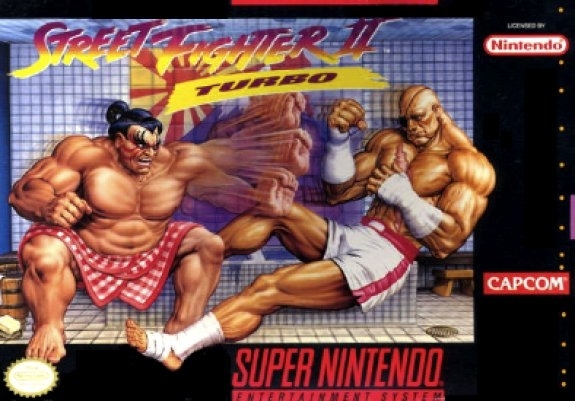 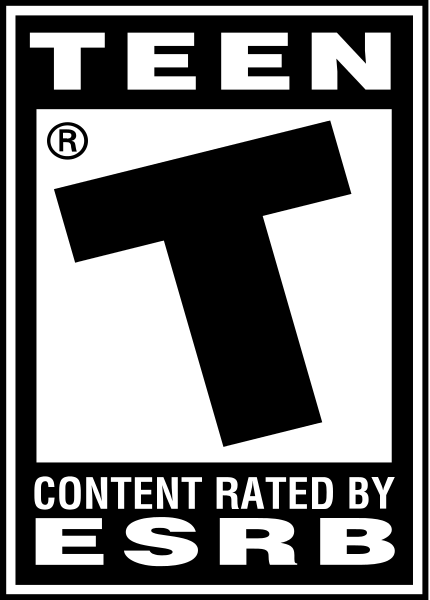 Regarded as one of the greatest games of all time, Street Fighter® II' Turbo: Hyper Fighting was the third and final release in the original series. 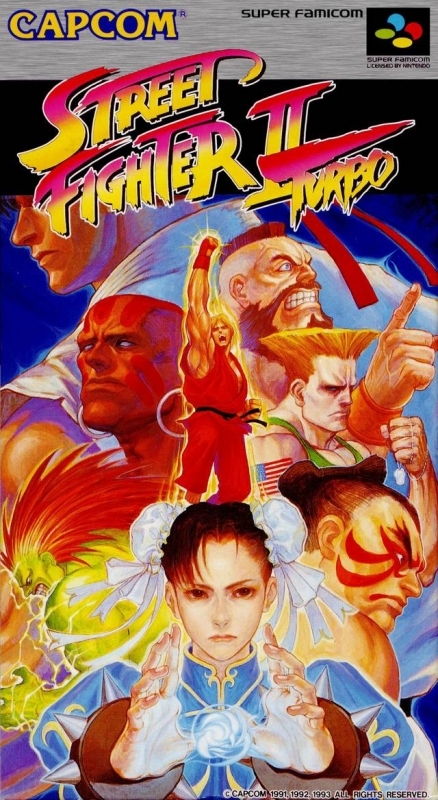 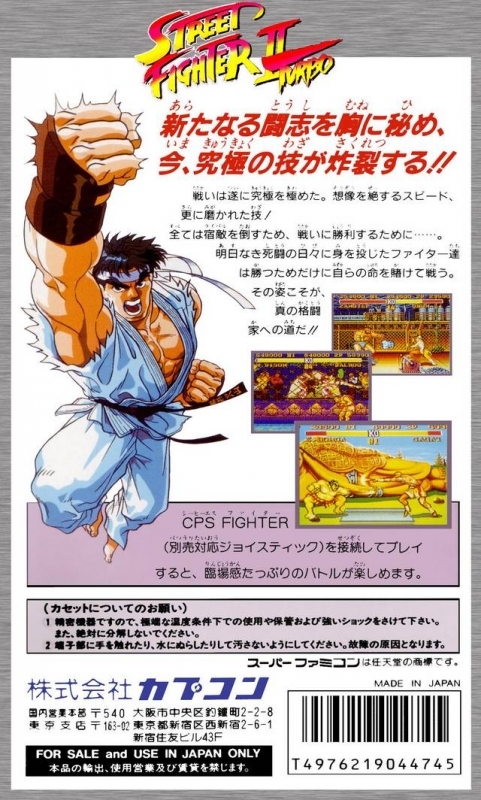 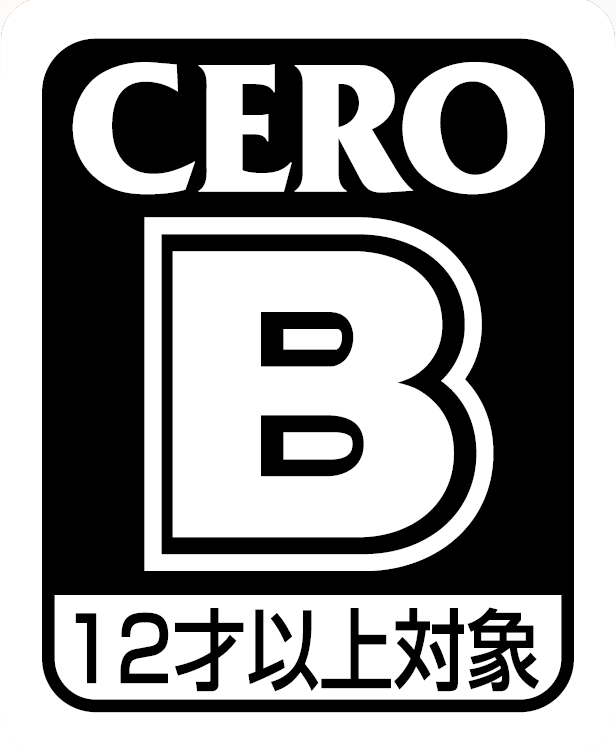 Featuring the eight original World Warriors (including Ryu, Chun Li and Guile) along with playable boss characters (Balrog, Sagat and M. Bison), this classic title offered enhanced playing speed and improved character balancing.